The world of Irish millinery has a new element and it comes from the handyman's box of tools ... it's the plastic cable tie. Spiralling pheasant feathers, pearls, straws and lavish bows still have a place, but the humble cable tie has found a surprisingly new use in hat making. 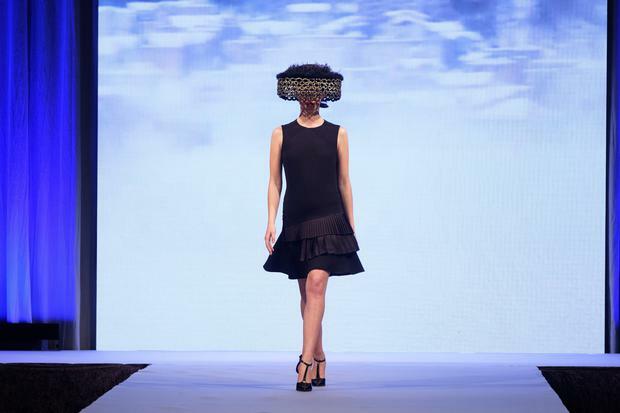 Dubliner Ashleigh Myles's risk paid off and she was named Milliner of the Year at the Irish Fashion Innovation Awards. She entered three headpieces made with more than 2,000 cable ties. Her design process involves hours of looping and hand-painting the ties with metallic marker after her day's work as a finance manager. "I've been there for over 20 years and I took up millinery as a hobby and it has grown into something I love and find very therapeutic," said Ms Myles, who devised a formula for success. "I'm always using cable ties at home and for the awards, I wanted to do something innovative and different." Her successes include a win at Ladies' Day at the RDS, where the straw hat was inspired by arrows on the M50. Katie Ann McGuigan, from Newry, Co Down, won both the Designer of the Year and the Overall Innovation Award. The Accessories Designer prize went to scarf designer Rita White. Student Designer of the Year went to Holly Rose Twomey, from LSAD, and Jeweller of the Year went to Emer Roberts.